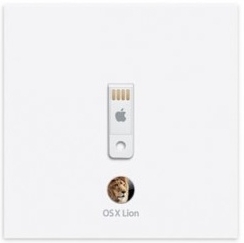 Apple's brand new OS X Lion is now available on a pen/thumb drive.Even though it allows uses to download from the website directly, there are some users who dont have internet access. The reason behind this is , Apple wants every one to upgrade to its newer version of OS X Lion.The cost of this is £55. The total installation for the OS X Lion is less than 4GB. The cost of pen driver is £21 and then the remaining the cost of OS £34.